Our beautiful small-double bed head-boards come in over 30 designs and heights, and are an ideal way to bring new life to your bed and its surroundings. Whether wall-mounted or supported by struts, all our striking designs are constructed by hand in our London workshop. With this in mind, you can be assured that we produce the highest quality double headboards available. 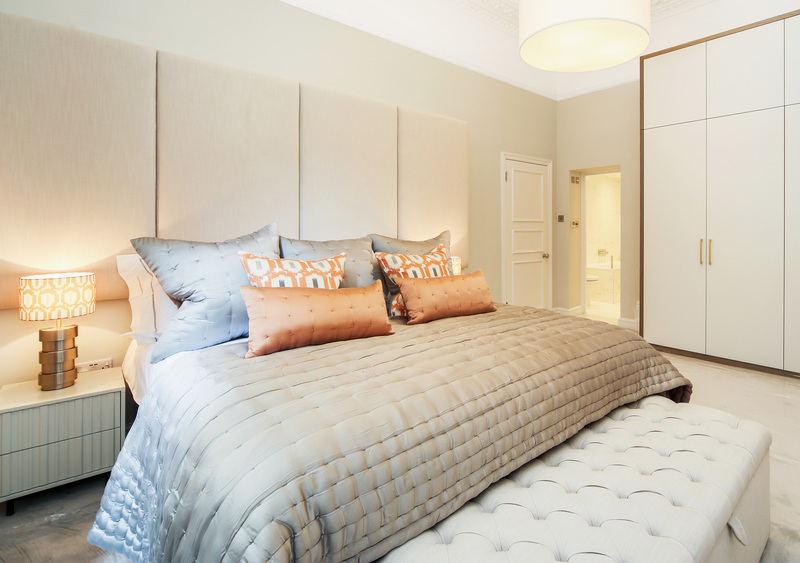 Although we cover all U.K. sizes and styles, our headboards can be specifically designed to your exact requirements. For example, if you’d like a certain size or a design that isn’t listed below, just let us know. We’d love to work with you and create your dream headboard. 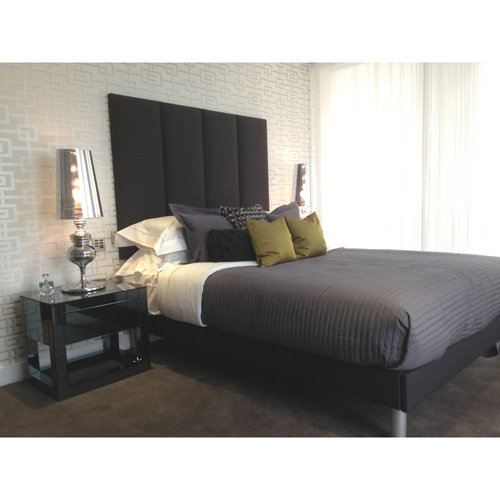 Additionally, we can further customise each double-bed headboard if required. Some examples include custom button arrangements and specifically-designed panels. Available fabric options include suede, linen, velvet and faux leather in a range of different colours. These include carnelian red, amethyst purple and lime green. If you’d like to ‘try before you buy’, we can even send a selection of fabrics to you to help you make up your mind. You can even further enhance the look of your headboard with a customised bed valance or matching cushions. Additionally, we even produce upholstered bed-frames that are both sturdy and aesthetically pleasing. In total, we have well over 200 fabrics to choose from. However, if you can’t find your ideal fabric or colour, why not supply your own? With our Customer’s Own Material service (COM), you can send in your own upholstery fabric, and we can use it to make your double-bed headboard. over 200 Upholstery Fabrics, Various heights; Wall Mounted or Headboard Struts and various other options. Various Heights 30", 36" 42" or 48"
Various Heights 22", 30", 36", 42" or 48"
arious Heights 22", 30", 36" 42" or 48"
Various Heights 22", 30", 36" 42" or 48"
Various Heights 30", 36" or 42"
Copyright © 2008 - 2019 Headboards Ltd (T/A www.headboards.co.uk). All rights reserved.